I did solve this problem. The answer lies in the forward slashes and backslashes between the windows environment and presumably the linux environment. 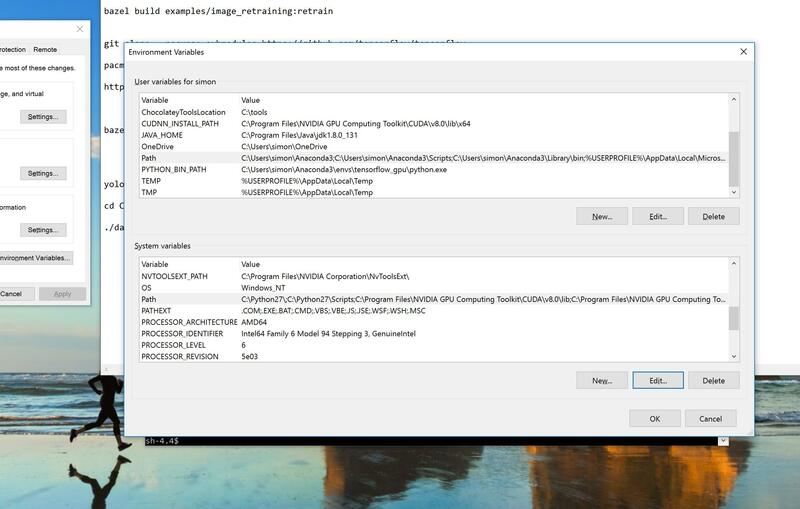 _DEFAULT_CUDA_TOOLKIT_PATH = "C:/Program Files/NVIDIA GPU Computing Toolkit/CUDA/v8.0" _DEFAULT_CUDNN_INSTALL_PATH = "C:/Program Files/NVIDIA GPU Computing Toolkit/CUDA/v8.0"
as well as the environment variables in windows. Not the answer you're looking for? Browse other questions tagged tensorflow gpu bazel cudnn or ask your own question.